The University of the West Indies respects the privacy of users of the academic computing resources on campus. This policy informs users of their privacy rights, responsibilities and expectations. Subject to the system operation described below, all electronic communications and files, with the exception of illegal electronic communications, are the private property of the author, and, if sent to another, the recipient. Private information contained in network records will not be used to compromise any user's privacy. Any violation of this policy will be cause for disciplinary action. The Information Technology Service Departments (ITS) maintains logs of URL's (web page addresses) visited from computers on campus and other network activities. These logs are only used to manage the network traffic and are not to be used to infringe upon the privacy of network users. 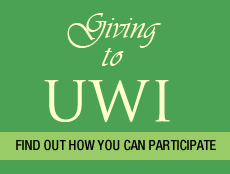 The University of the West Indies intends that all email is private and confidential. The University's network structure attempts to restrict interception of email and ITS maintains procedures to ensure that unauthorized access to an account is not allowed. Interception of network transmissions is strictly forbidden. Users should, however, be aware that The University of the West Indies cannot guarantee security of email. As a result, users should use discretion with email. If the privacy of a message is important, it should be encrypted, or otherwise safeguarded. Ultimate responsibility for email security rests with the user. To protect the University community from email viruses and other threats to the network, ITS may intercept messages that meet specific criteria which indicate the presence of a threat. Any time this is implemented, ITS will notify the University community as soon as possible. ITS will notify any user when a message to them has been intercepted and not delivered. ITS will not open any intercepted messages without the permission of the recipient. Users who are concerned about maintaining the privacy of their email and files are encouraged to use encryption software or our IMAP protocol instead of POP. Users who are concerned about verifying their identity are encouraged to use digital signatures. Additional information on encryption and digital signatures is available from ITS. Files on personal computers and servers are the private property of the author. Users may give others access to their files by making them publicly available. Users should be aware that if they make a file publicly available, anyone with the appropriate privileges will have access to the file. ITS regularly backs up the campus servers. These backups will be used to restore the system if technical problems occur. These backups are kept for up to one year and then destroyed. Users should be aware that these backup tapes contain a record of all files, including email and network logs, on the system at the time of the backup. Unauthorized access to electronic communications and files is strictly forbidden. Users should be aware, however, that unauthorized users may gain access to electronic communications and files. ITS makes reasonable efforts to maintain the security of the campus networks, however, users should take appropriate steps to maintain their privacy. This includes maintaining secure passwords and encrypting sensitive information. Additional information on security is available from ITS.